Is the billion-dollar LIGO fraud unstoppable? 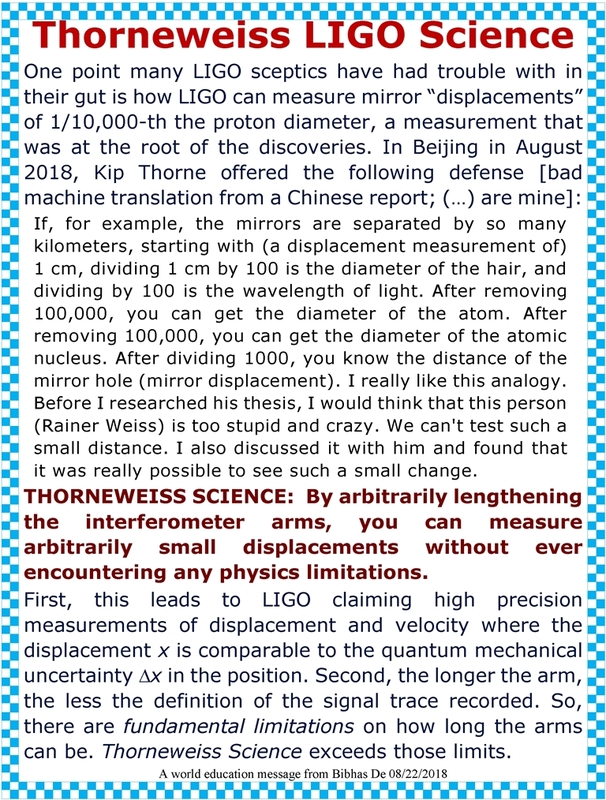 Posted in LIGO Discovery, LIGO India, Uncategorized | Comments Off on Is the billion-dollar LIGO fraud unstoppable? The following diagram refers the this link. 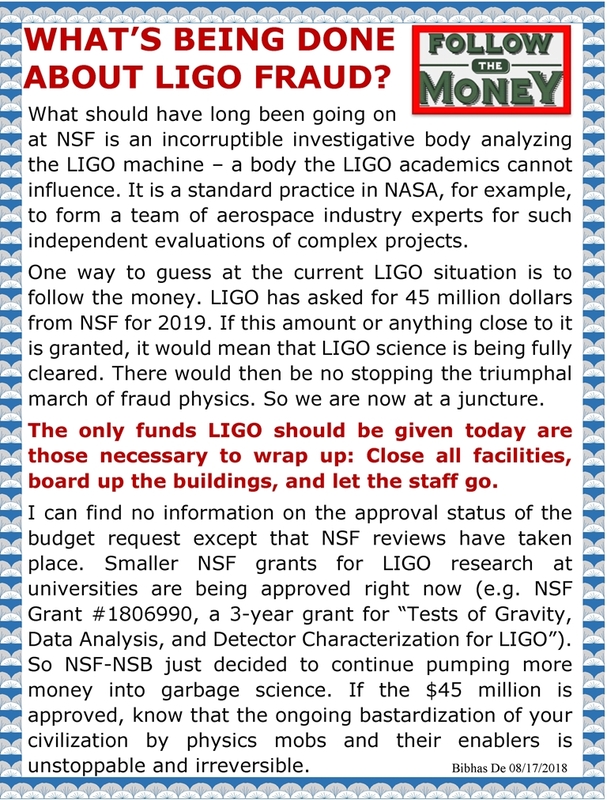 What’s being done about public funding of LIGO fraud? 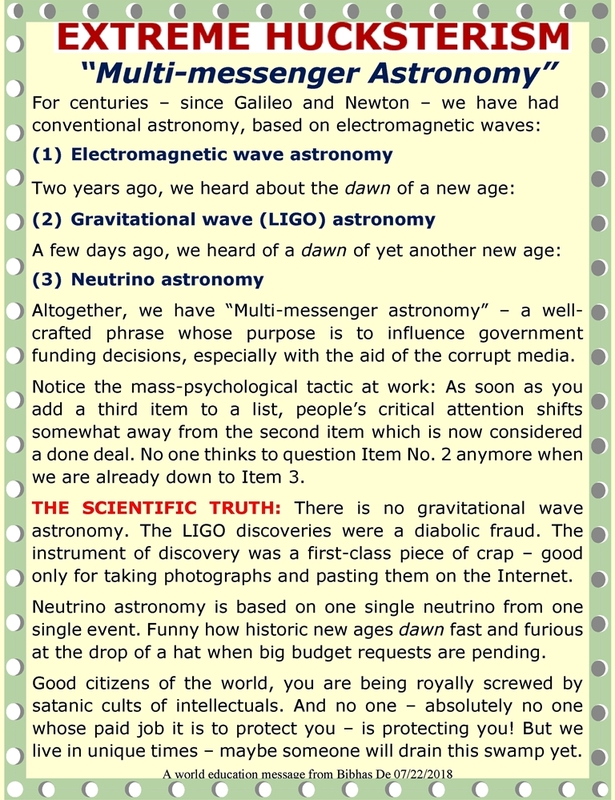 Posted in LIGO Discovery, LIGO India, Uncategorized | Comments Off on What’s being done about public funding of LIGO fraud? 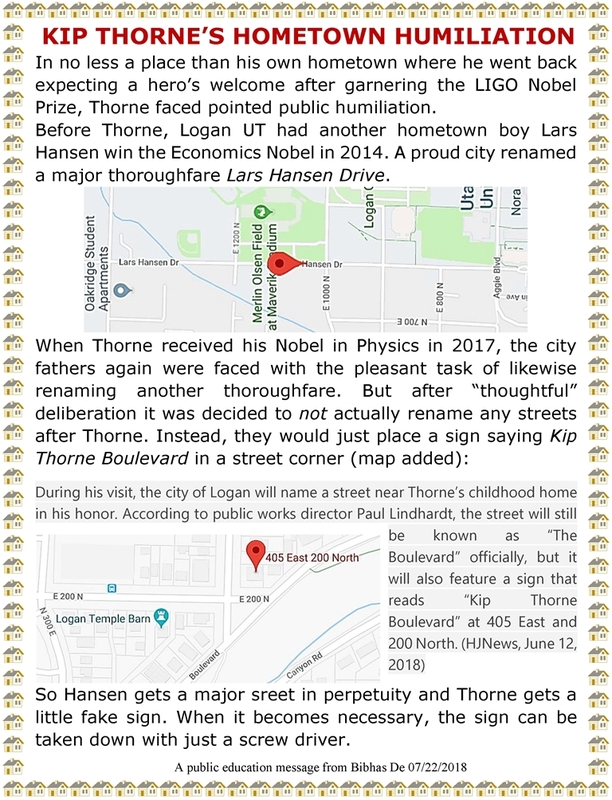 THE NOBEL: Temporary hiccup or final decline? 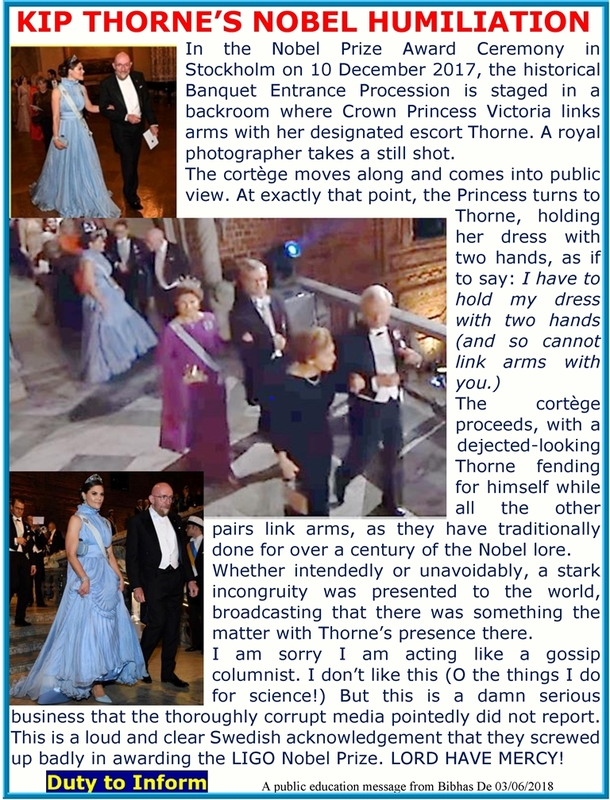 The recent revelations in the media about what goes on behind the scenes at the organization that gives out the Nobel Prize in Literature are indeed shocking. 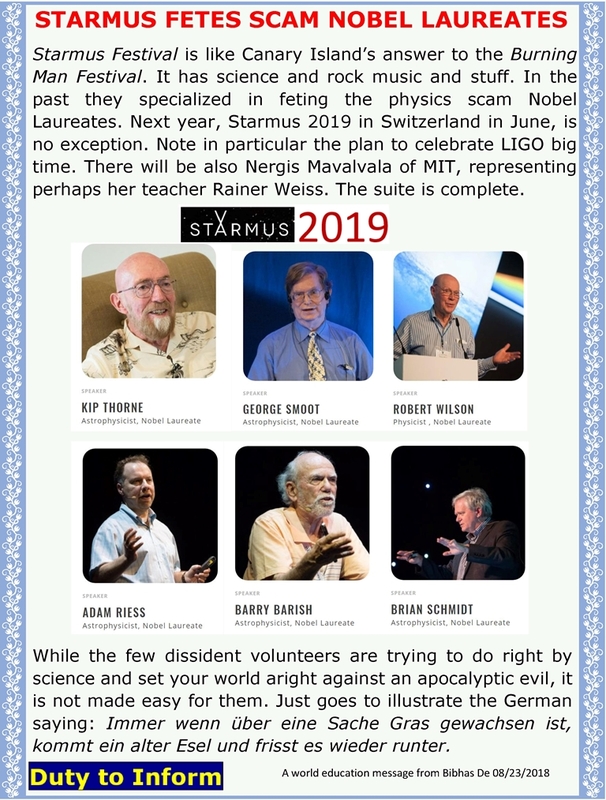 But in terms of the harm done to our society and to our civilization, these are mere misdemeanors compared to what has gone on behind the scenes at the organization that gives out the Nobel Prize in Physics. Click twice on the following graphic to enlarge it. 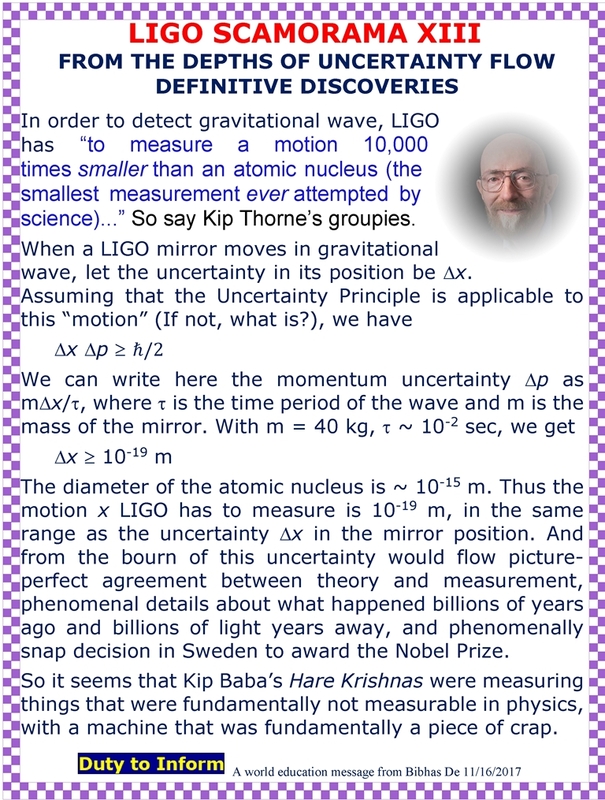 Posted in LIGO Discovery, Uncategorized | Comments Off on THE NOBEL: Temporary hiccup or final decline? 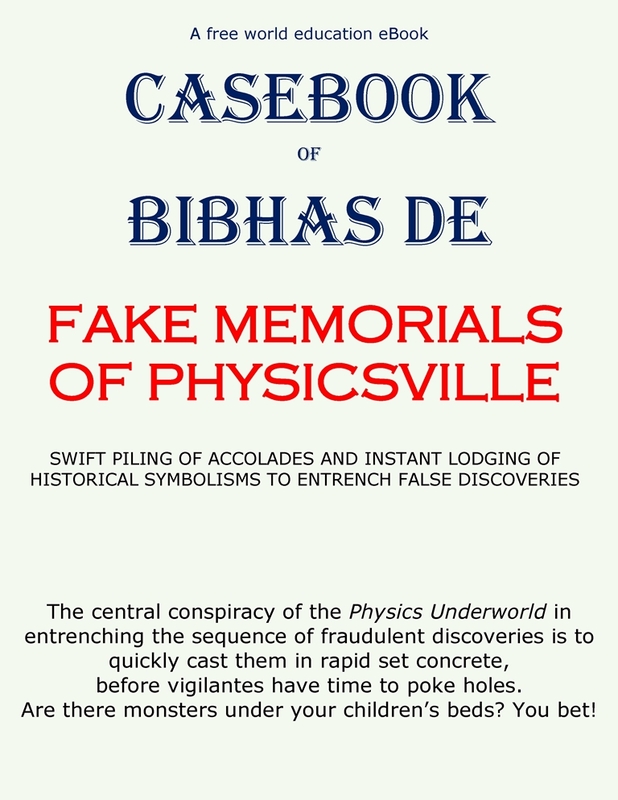 The Fake Memorials Casebook it is here! 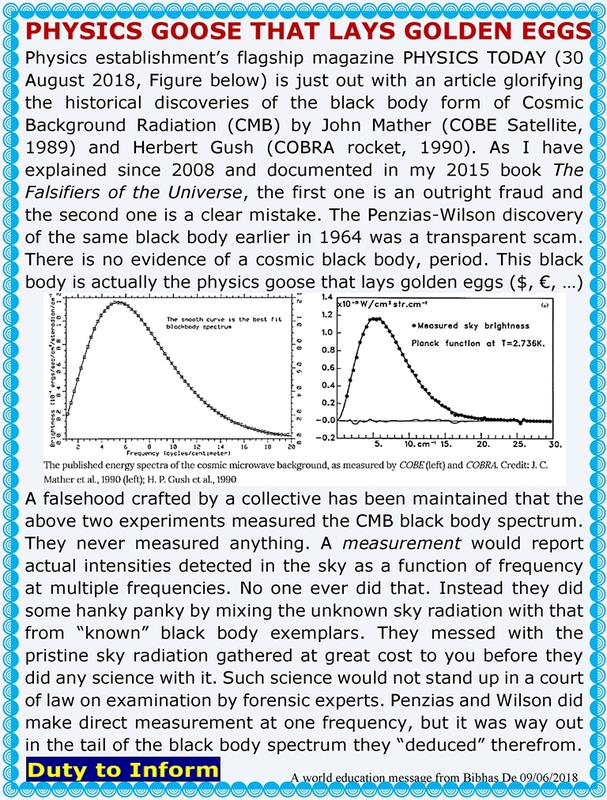 You can download this Casebook here (pdf 3.6 MB). 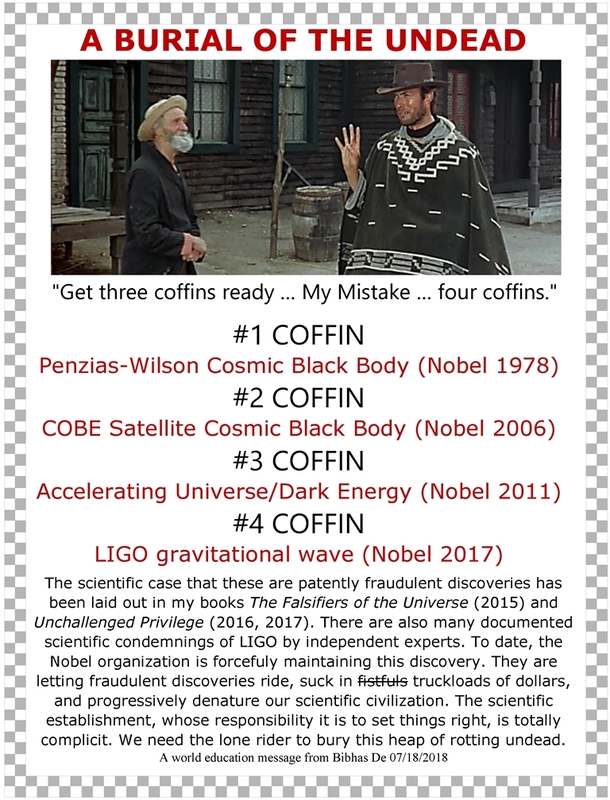 Posted in LIGO Discovery, LIGO India, Physicists play citizens pay, Uncategorized | Comments Off on The Fake Memorials Casebook it is here! Central Casting, send two Dawns of New Age pronto! 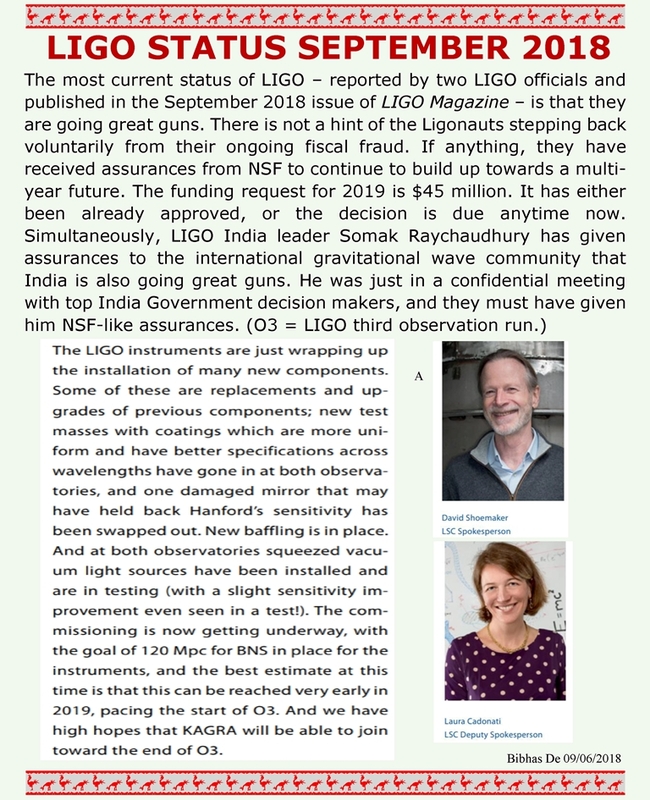 Posted in LIGO Discovery, LIGO India, Physicists play citizens pay, Uncategorized | Comments Off on Central Casting, send two Dawns of New Age pronto! 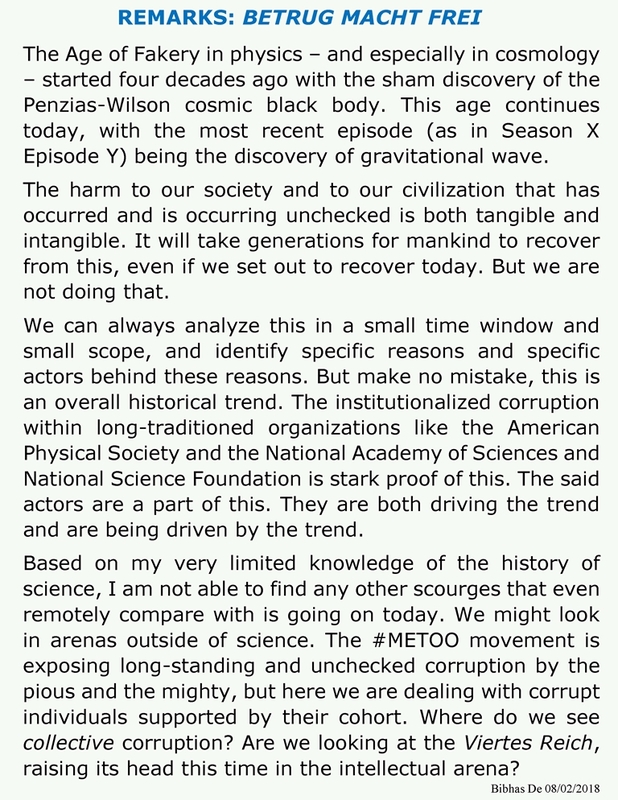 This is a clear timely statement that the LIGO discovery is a settled matter. It will stand as such in perpetuity, regardless of its fraudulent nature. 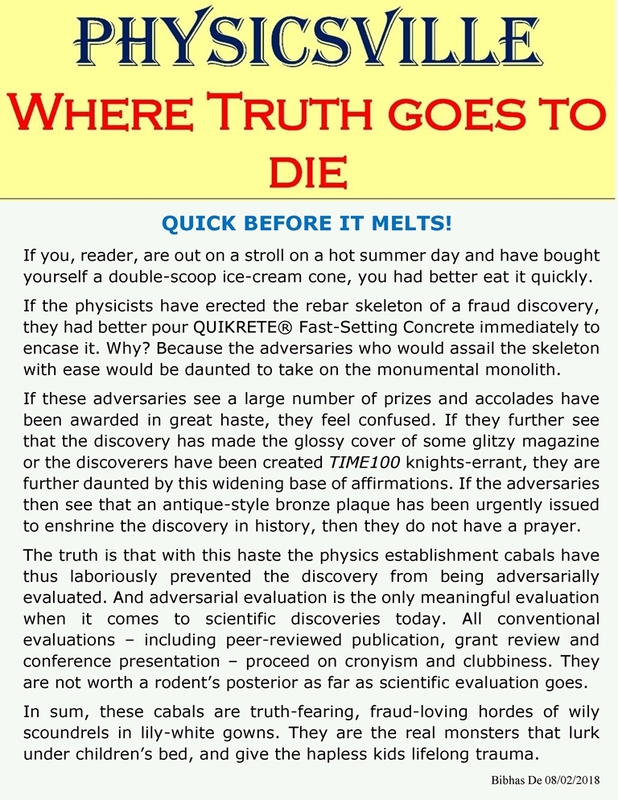 A scientific instrument that is a cross between a Rube Goldberg Machine and a dowsing rod makes a discovery, and the Nobel blesses it, and that’s that! There’s nothing you and I can do about it. Last year, Botner was on the Nobel Prize Committee that made the LIGO award. 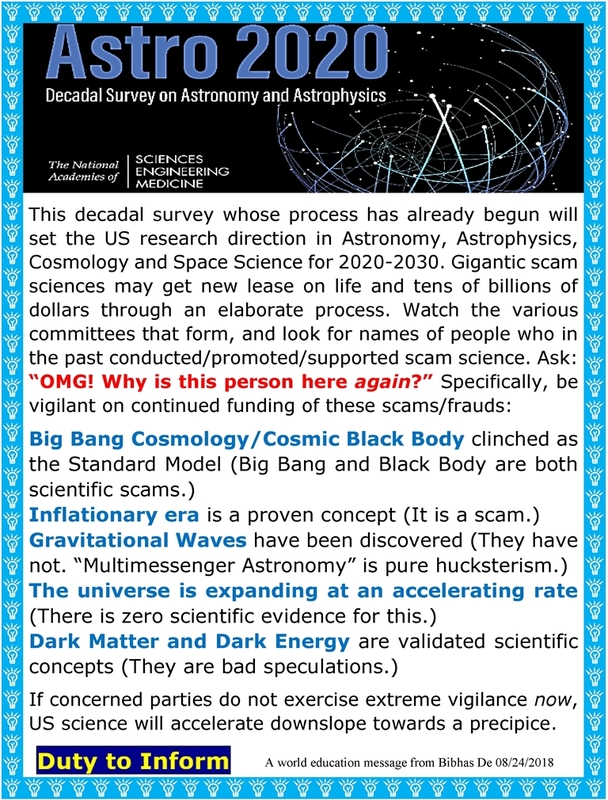 In 2011, Botner was on another Committee that made the award of the Nobel Prize for the accelerating universe/dark energy scam. 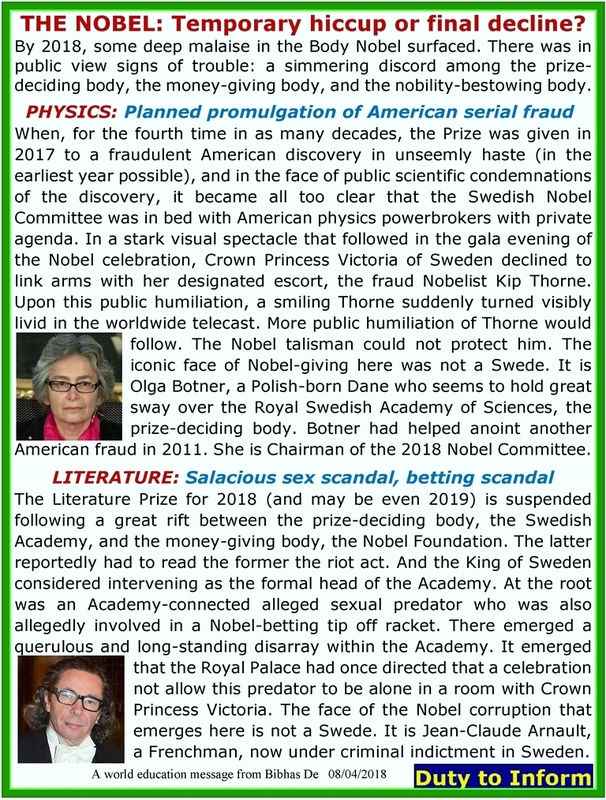 So it would appear that she is a continuing force behind the Physics Nobel corruption. Curiously, Botner is not a Swede. She is a Polish-born Dane who is making her mark on a time-honored Swedish institution. 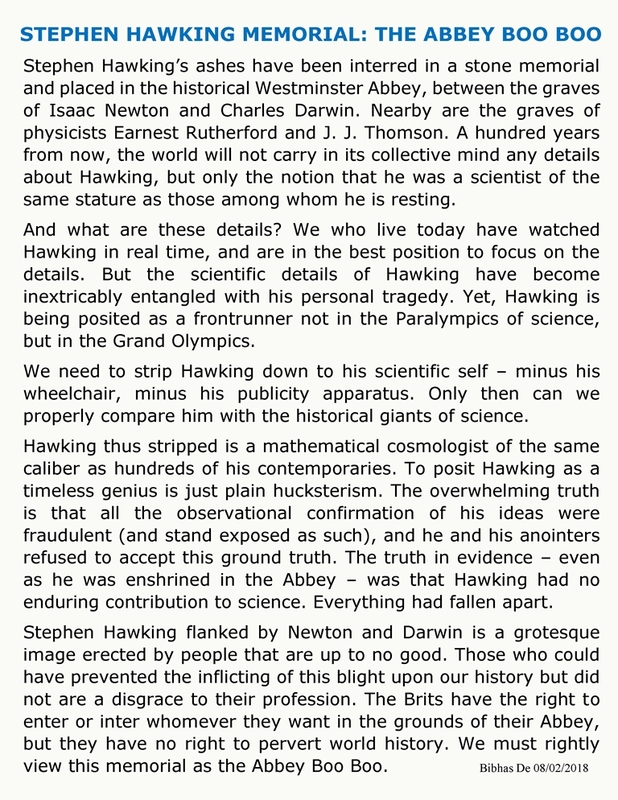 We therefore need to find some other way to bury the accumulated and rotting Nobel undead – for the sake of our civilization and our posterity. Folks, the NSF review of LIGO has just taken place. NSF Director France Cordova was very much in evidence there, and was all smiley smiley and all chummy chummy with the Ligo leaders. Judging from this, LIGO will get great moneys to greatly expand and make grander discoveries yet. This unstoppable crime will continue apace. I am at my wit’s end. I don’t know what else to do to stop this criminal activity taking place under the guise of legitimacy.